I'm quite late to this series, so am listening to the books in order (and waited to read The Painted Queen before I continued with the other books). The story was full of thrills, spills and, as ever, brilliantly narrated by Barbara Rosenblat. Enthralling escape into a bygone age! This was another rip-roaring story from the Amelia Peabody series. 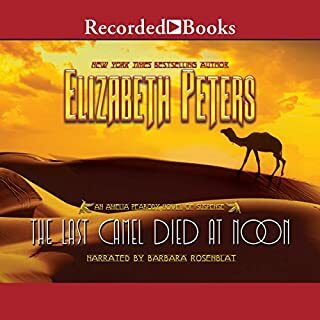 Elizabeth Peters has done a wonderful job writing this story and Barbara Rosenblat has, again, done a wonderful job of bringing the story to life for a listening audience. 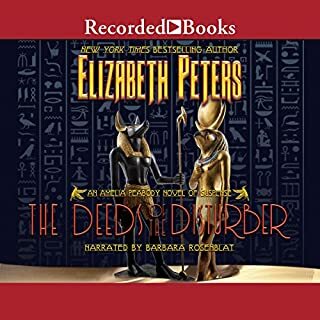 Another brilliant yarn, another wonderful time spent in the world of Peabody, Emerson and Ramses. I can't wait to listen to the next story in the series. 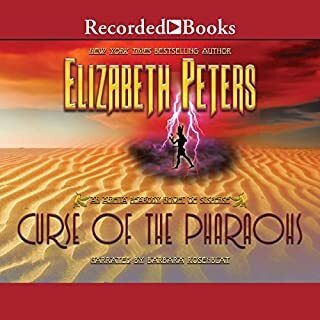 I really enjoyed listening to this further adventure of Peabody and Emerson (and Ramses, of course! ); and as ever, Barbara Rosenblat's narration and voice characterisations are exemplary. 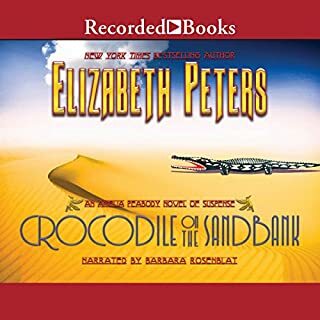 This was another wonderfully enjoyable story; brought to life, once again, by the amazingly talented Barbara Rosenblat! Her Northern Irish accent was a bit wobbly, but I absolutely forgive her for that as she does so many other different voices and accents brilliantly. I'm looking forward to the next instalment. I really enjoyed listening to this story, so I'll definitely be buying more audio books in this series. 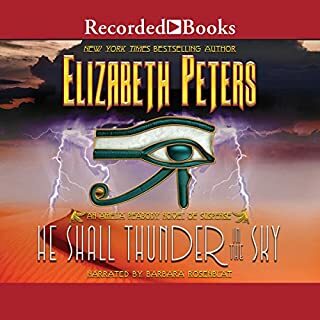 I loved the story, the writing, and I felt Elizabeth Peters really evoked Egypt, the English and the 1880s. 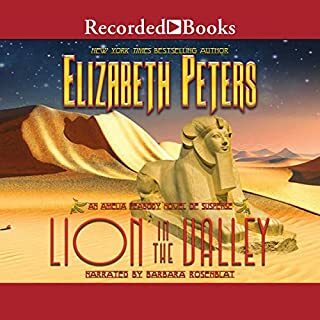 I know the narrator is American, and she brilliantly bought to life English, Egyptian and Italian voices, both male and female, with seeming ease. 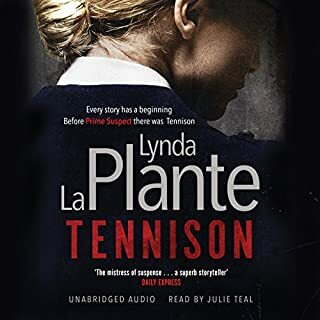 I really enjoyed listening to the story of Jane Tennison's life as a young WPC. The story had lots of strands with some twists and turns. There were times I found the style of writing a bit 'naive', though. I mostly enjoyed listening to the narrator, though her Jamaican, Scottish and Greek accents were shockingly poor and made me cringe. 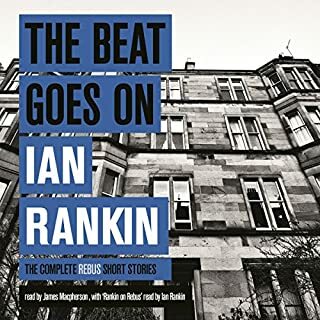 I love the books featuring John Rebus and have read them all, so listening to new (to me) though short, stories was an absolute joy. The narrator was wonderfully nuanced with his voice characterisations, and got the emotional tones just right. 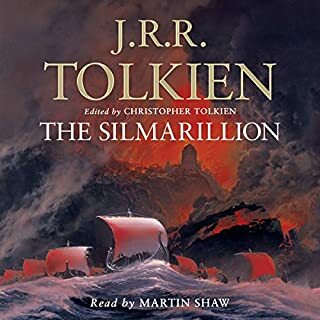 I've always wanted to read The Silmarillion, but could never get past the first chapter as the story was so complicated. Listening to it via Martin Shaw's soothing tones enabled me to keep a grip on the characters and plot. I may even read the book, now! 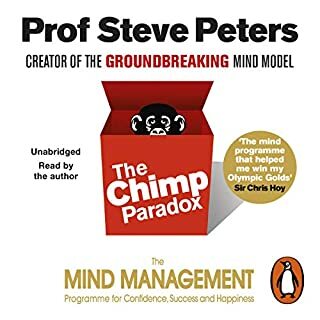 I enjoyed listening to this book a great deal. It was informative, concise and packed with ideas and exercises. The author's reading style was adequate, but not particularly engaging.